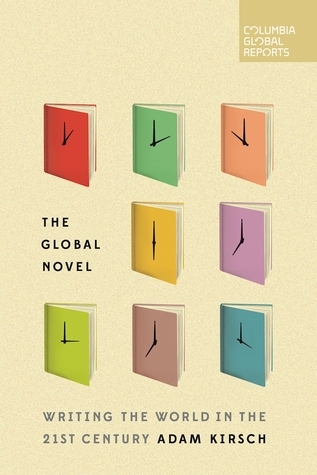 The Global Novel by Adam Kirsch. Columbia Global Reports, 2017. Paperback. 135 pages. I received The Global Novel a few months ago, but it recently became extremely relevant to my life due to the fact that I am currently taking a world literature course at university (a class that should have been taken way back in the first year of university, but that I've had to put off until my very last quarter before I graduate because it's rarely offered and never fit in with my schedule before. But I'm not bitter. Not at all.) I really enjoyed this little collection of essays, and I found it to be out together extremely well. The first chapter of this book discusses what "world literature" actually means and how it is used to describe various works of literature, as well as how important it is to read international works of literature, whether in their original language or in a translated work that is more accessible. The Global Novel is then subdivided into a few main categories, a few of which are ' 'Alternate Realities,' 'To America and Back,' and 'Fearful Futures.' Each essay is carefully thought out and endeavors to cover important topics related to common issues found when reading international literature. For instance, Kirsch discusses how various cultures within books from different regions will be interpreted differently depending on who reads them. Similarly, there is also the issue of the dominance of western literature among 'well known' works-- there may be a few prominent Chinese authors that are popular in America, how many more are there from America and Western European countries? I loved the concept of this book and everything that Adam Kirsch set out to do, but I wish that there had been more. The 'global novel' is a huge topic that is hard to fully give justice to in only 135 pages. I also feel that the authors chosen were limited in scope, and I would have loved to see Kirsch's discussions encompass a wider array of world authors. However, I think Kirsch did extremely well with the limited amount that he had, I just wish that there had been more. Overall, I have given The Global Novel four stars! If you are at all interested in literature, world literature, translations-- definitely give this little book a read! It's a short collection of essays and provides an abundance of interesting topics to consider. Oh man, gotta love it when scheduling conflicts have you taking a class way later than you would have liked. I'd be bitter too! This does sound like a great essay collection. I think I need to read a few more of those books you listed first, but I could see myself reading this at some point. Great review!